As accredited fiber optic technicians, we know that fiber optic cables are cables that contain several thousands of optical fibers in a protective, insulated jacket. The optical fibers are very thin strands of pure glass, which transmit information in the form of light. 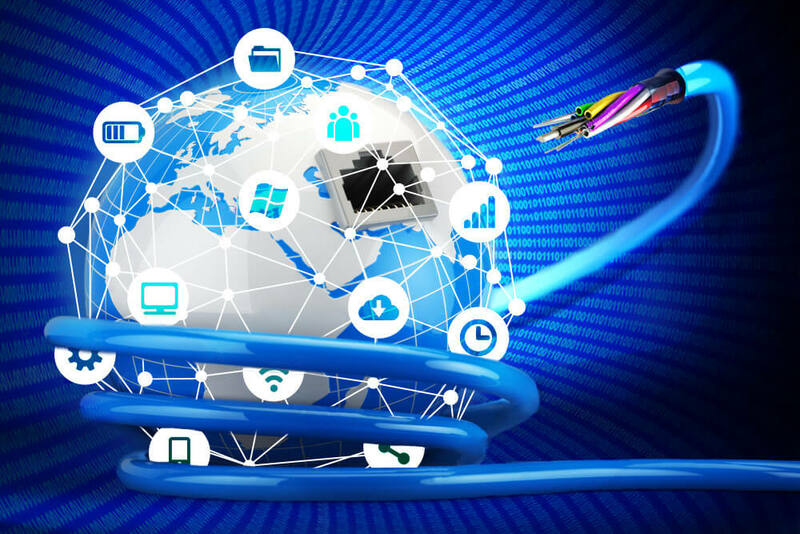 Fiber optic cables have revolutionized the world of network communication ever since their inception nearly forty years ago. Today, these cables have almost obliterated traditional methods of networking, which use copper wires. Fiber optic cables transmit data at very high speeds. This technology is therefore widely used in Internet cables. In comparison to traditional copper wires, fiber optic cables are less bulky, lighter, more flexible and carry more data. The use of fiber optic cables in the transmission of cable signals has grown fast in recent years. These cables are ideal for transmitting signals for high def televisions because they have greater bandwidth and speed. Also, fiber optic cables are cheaper as compared to the same quantity of copper wire. Reaching telephones within or outside the Philippines has never been so easy. With the use of fiber optic communication, you can connect faster and talk to your friends without any lag on either side. Networking between computers in a single building or across nearby structures becomes way much faster with the use of fiber optic cables. Users can see a marked decrease in the time it takes to transfer files and information across networks. Fiber optic cables are widely used in the fields of medicine and research. Optical communication is an important part of non-intrusive surgical methods, popularly known as endoscopy. In such applications, a minute, bright light is used to light up the surgery area within the body, making it possible to reduce the number and size of incisions made. Fiber optics are commonly used in microscopy and biomedical research. The use of fiber optics in the area of decorative lighting has also grown over the years. Fiber optic cables provide an easy, economical and attractive solution to lighting projects. As a result, they are widely used in lighting decorations and illuminating Christmas trees. Fiber optic cables are widely used in checking hard-to-reach places. Some such applications are on-site inspections for engineers and also inspection of pipes for plumbers. Because of the extremely high level of data security needed in military and aerospace applications, fiber optic cables offer the ideal solution for data transmission in these areas. Fiber optic cables are very important in the lighting and safety features of present day vehicles. They are widely used in lighting, both in the interior and exterior of vehicles. Because of its ability to conserve space and provide superior lighting, fiber optics is used in more vehicles every day. Also, fiber optic cables can transmit signals between different parts of the vehicle at very fast speed. This makes fiber optic cable invaluable in the use of safety applications such as traction control and airbags.